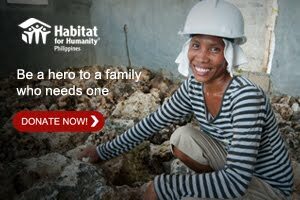 Still thinking of what you should give a gift for your love-ones this Christmas? Well I have a suggestion that will make your life more easier and still shares holidays season more merrier. 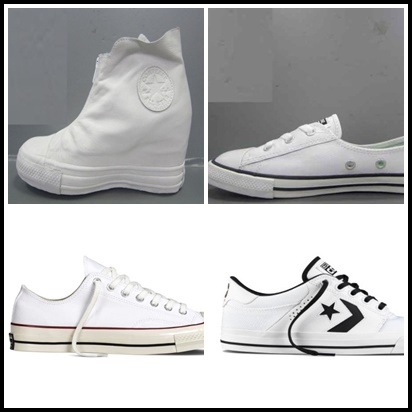 Converse Chuck Taylor All Star collections are here to rescue you from confusion and thinking for a perfect gift. From Chuck Taylor All Star limited edition DC Comics collection, Converse-Missoni Fall Holiday 2015 collection, Andy Warhol Collection, Chuck Taylor All Star Rubber and Converse White Sneakers. This DC Comics collection is illustrated by renowned DC Comics artists Jim Lee, Jock (Mark Simpson), Andy Kubertand Kenneth Rocafortand it marks Converse’s eighth collaboration with Warner Brossince its launch on Fall 2010. Converse Chuck Taylor All Star Wonder Woman - The Converse Chuck Taylor All Star Wonder Woman sneaker features amazing artwork from the Co-Publisher of DC Entertainment, Jim Lee. Two different images of Wonder Woman are included on both sides of the sneaker, Wonder woman logo is printed on the tongue and on the laces. Suggested Retail Price Php 3,510 Sizing 5-8 Ladies. Converse Chuck Taylor All Star Batman - the sneaker showcases the intriguing artwork designed by British comic artist Jock. Featuring two bold illustrations of Batman on either side, the iconic Batman logo is printed on the tongue of the sneaker, along the inner lining and on the laces. Suggested Retail Price: Php 3,510 Sizing 7-11 Mens. 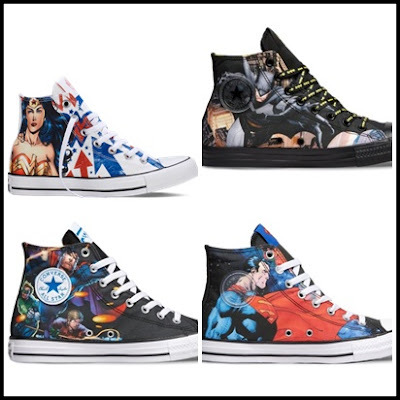 Converse Chuck Taylor All Justice League - Featuring illustrations created by Andy Kubert, the Converse Chuck Taylor All Star Justice League sneaker illustrates the team of DC Comics Super Heroes on both sides of the sneaker. Compelling imagery is printed on the sneaker with the Justice League logo screened on the tongue and comes with both white and black laces that allow for customization. Suggested Retail Price Php 3,510 Sizing7-11 Mens. Converse Chuck Taylor All Star Superman - The Converse Chuck Taylor All Superman sneaker features artwork by Kenneth Rockfort that highlights two different images of Superman on both sides of the sneakers. The iconic red and yellow S-Shield is printed on the tongue of the sneaker and includes a red lining with an allover printed logo. Suggested Retail Price Php 3,510 Sizing 7-11 Mens. Converse goes high fashion with collaboration in refined Italian fashion brand Missoni with this Fall-Holiday 2015 collection. Sneakers features Missoni’s signature bright stripes, zigzag designs and slubs in a patchwork of geometric and floral jacquard. Uses the authentic Technique of Space Dye, a technique consists of piece of yarn being dyed using a combination of colors, that, when weaved together create a unique, multicolored effect. 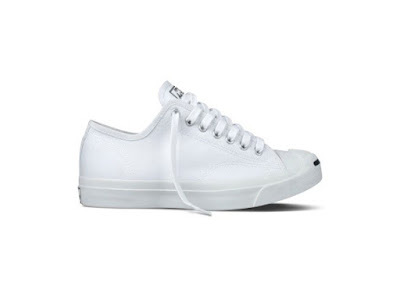 Chuck Taylor All Star Fancy - Available exclusively for women, the Converse Chuck Taylor All Star Fancy features a more feminine silhouette, but, maintains the classic Chuck Taylor design. This sneaker in the Fancy silhouette features a photo-real print. Suggested retail price Php 3,510 Sizing: 3-6 Womens. Chuck Taylor All Star Missoni Canvas Stripes - Available in unisex sizing, this iconic Missoni in canvas- stripes in high-cut and low-cut style. Suggested retail price Php 3,510 Sizing 3-6 Unisex. 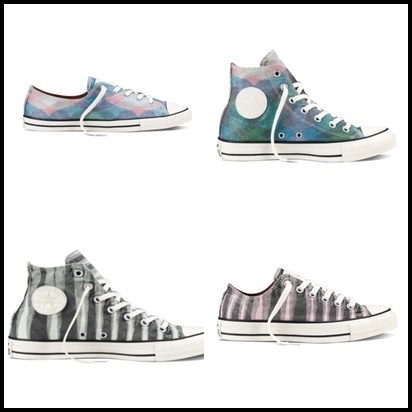 Chuck Taylor All Star Missoni Textile - Converse Chuck Taylor All Star Missoni high-cut and low-cut in textile material. Suggested retail price Php 3,510 Sizing 3-6 Unisex. Converse goes Andy Warhol collaboration the partnership between two pop culture icons celebrates creative self-expression and pays homage to the visionary artist. It features bold Warhol imagery across an array of expressive converse sneakers. An iconic visionary who continues to inspire rebels and artists everywhere, Andy Warhol was hailed as the preeminent American artist of the 20th century. Chuck Taylor All Star Rubber as part of the Converse Fall Holiday 2015 Weatherized Collection. The sneaker features details that are designed to help keep you dry. Has a full rubberized upper that helps to repel water and with waxed laces to keep it water tight. It has gusseted tongue to provide protection from getting wet and an inner French Terry lining that keeps the feet warm. 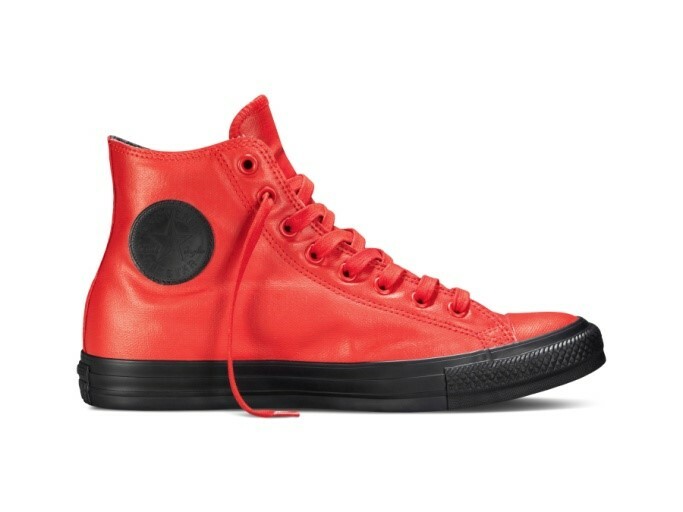 Chuck Taylor All Star Lux Shroud - Canvas CTAS Lux (inside) shrouded in one piece unlined leather upper with front zip. 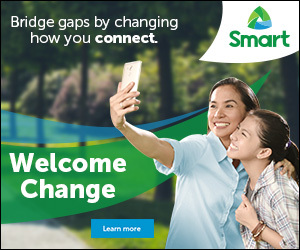 Suggested retail Php 6,950. Sizing 5-8 Womens. Chuck Taylor All Star Ballet Lace Leather - Easy on and off, slim sole and leather upper with pull tab. Suggested retail price Php 3,350. Sizing: 5-8 Womens. 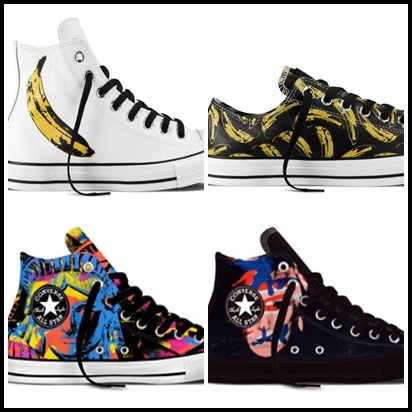 Chuck Taylor All Star Warhol Banana Graphic - Premium leather upper with banana print inspired by renowned visual artist Andy Warhol's pop art paintings. Suggested retail price Php 4,950 Sizing 3-11 Unisex. Chuck Taylor All Star 70's - The Chuck Taylor All Star Chuck ’70 is our re-crafted sneaker that uses modern details to celebrate the original Chuck Taylor All Star from the 1970's. It features a slightly higher rubber foxing, a cushioned foot bed that provides long-lasting comfort and a more substantial rubber toe cap. Additional vintage details include stitching on the sidewall and a heavier-grade canvas upper for comfort and durability. They join iconic Chuck Taylor attributes such as the star-centered ankle patch and vulcanized rubber outsole. Suggested retail price Php 3,250 Sizing 7-11 Mens. Chuck Taylor All Star II - Lunarlon sockliner for superior full foot cushioning and arch support. Foam padded collar and non-slip gusseted tongue for 360-degree comfort. A perforated micro suede liner, for breathability during extended periods of wear. Suggested retail price Php 3990. Sizing: 7-11 Mens. Cons Tre Star Ox - Trade mark is the star and chevron logo as part of Converse Skate collection. Suggested retail price Php 3250. Sizing 7-11 Mens. Jack Purcell (claimed AlDub couple sneakers) - Has ortholite footbed with imbedded Zoom Air Technology and the open weave forefoot made with soft cotton and leather, provide more breathability and mobility over long periods of wear. Signature two-piece Jack Purcell smile construction in Converse blue, signature embroidered tongue, outsole logo, heel logo, and inner signature label provide the most classic expression of the iconic logo treatments. Suggested retail price Php 2650. Sizing: 7-11 Mens.